Crossovers are in high demand these days because these are the vehicles that offer a luxurious feel, comfortable interior, spacious trunk and impressive performance in a single pack. The Acura MDX is a midsize luxury crossover that is popular among potential shoppers for its precision, reliability, refinement and performance figures. Acura is making the MDX the top choice of the segment by continually making improvements to the model. 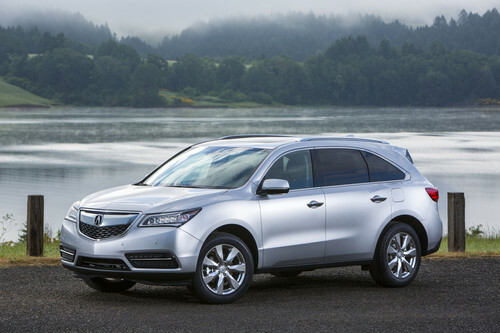 The 2014 model year is the true example of the smartness of the engineering team of the Acura MDX. The 2014 model year is totally redesigned in each and every aspect. The exterior of the Acura MDX 2014 features 18 inch wheels, power liftgate, rear privacy glass, automatic LED headlamps, power sunroof, heated mirrors and LED taillights. The 2014 MDX looks slightly longer and narrower than the previous models. The old dual exhausts are replaced with a new single pipe system hidden behind the rear bumper. The interior of the 2014 MDX is also improved with the addition of lots of standard and high tech features. The 2014 Acura MDX is offered in two trims, the Base and the SH-AWD. The standard interior features are keyless entry, power tilt and telescoping steering wheel, heated eight way power front seats, tri-zone automatic climate control, driver memory settings, twin console displays: a seven inch touchscreen and 8 inch information screen, leather upholstery, multi-angle rearview camera, eight-speaker audio system with CD player, satellite radio, Pandora radio interface, USB/iPod interface and Bluetooth phone connectivity. Technology Package, Entertainment Package and Advance Package are optional that adds a number of innovative and advanced features. 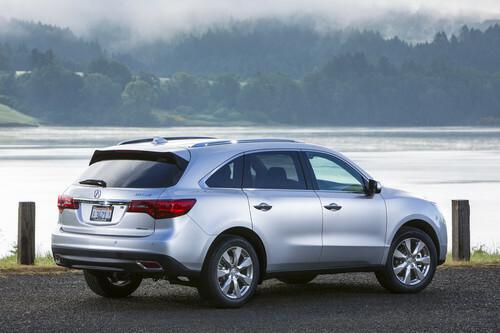 A 3.5 liter V6 engine is offered to the 2014 Acura MDX that generates 290 horsepower and 267 lb ft of torque. The engine is mated with a standard six speed automatic transmission. The front wheel drive is standard whereas an AWD is optional. The EPA estimated fuel economy is 20 mpg city and 28 mpg highway with FWD and 18 mpg city and 27 mpg highway with AWD. The car accelerates from 0-60 mph in about 6.2 seconds. Standard safety features of the 2014 Acura MDX are antilock disc brakes, active front head restraints, front seat side airbags, driver’s knee airbags, side curtain airbags, multi angle rear view camera and traction and stability control. The 2014 MDX base model has a starting price of $42,290 and the SH-AWD trim has a starting price of $44,290. The car will go on sale in July 2013. The 2014 Acura MDX has to compete against Volvo XC90, Audi Q7, Infiniti FX37, BMW X5 and Mercedes Benz ML350/ML550. The 2014 Acura MDX is redesigned but is not as dramatic as it can be. The Acura is known for its uniqueness and precision that is the part of the 2014 MDX too as the MDX looks like a minivan instead of a luxury crossover. Renault-Nissan Alliance and All Japan Ryokan Association Signs Partnership!